On March 22, the U.S Catholic Bishops Administrative Committee issued a pastoral reflection, “Living as a People of God in Unsettled Times,” calling on all Catholics “to accompany migrants and refugees who seek a better life in the United States.” The pastoral statement offers some recommendations on how Catholics in their own small way might offer solidarity for migrants and refugees. Read USCCB’s pastoral reflection here. Justice for Immigrants (United States Conference of Catholic Bishops) has issued an action alert calling on Catholics to contact their lawmakers to support immigrants and refugees. This week, President Donald Trump issued an Executive Order that is having a devastating impact on refugee resettlement in the United States. Missionary Oblates JPIC stands with religious communities and human rights organizations in calling for the support and protection of refugees forced to flee violence in their home communities. As people of faith, we cannot turn our backs on refugee families as they flee from violence. Today, there is an urgent need for the United States to continue showing global leadership on refugee protection. Support Refugees and Immigrants – Take Action Now. 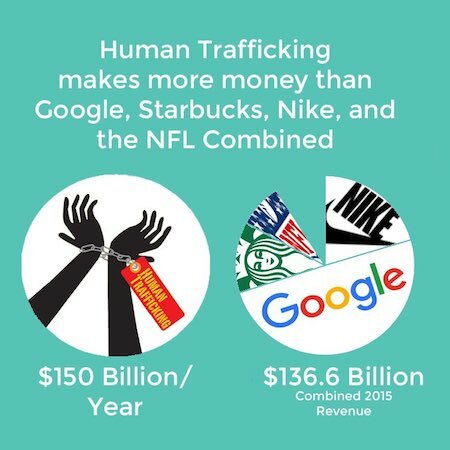 President Barack Obama has proclaimed January 2017 as National Slavery and Human Trafficking Prevention Month in the United States, calling upon businesses, national and community organizations, families, and all Americans to recognize the vital role we must play in ending all forms of human trafficking. Many with groups are bringing attention to this issue through prayer and educational resources. Below are links to some of these resources. U.S. Catholic Sisters Against Human Trafficking provides several resources on its website including prayer services and an interfaith toolkit produced and distributed by the Washington Inter-Religious Staff Community Working Group on Human Trafficking (WISC). The Catholic Health Association is sponsoring a Twitter Chat on Human Trafficking, Feb. 2nd, 1-2:00 PM Eastern. Contact Jody Wise for details: wisejo@trinity-health.org.